Here are some amazing statistics recently released by Asymco analyst Horace Dediu. Using his slide rule, the analyst calculated that App Store developers made $26.5 billion in 2017. That is more than McDonald's gross revenues for 2016. In 2018, Apple could take in $100 million a day from iOS users purchasing paid apps or subscriptions. That adds up to $36.5 billion, and if the App Store does achieve that much revenue this year, it would continue to rate as a Fortune 100 company. With those numbers, Dediu sees the company ringing up iOS related sales of $500 billion by 2019. But the App Store alone is the real jewel inside Apple. In less than ten years, Apple has paid developers $86.5 billion in total for their share of revenue related to paid apps. And if you want a real ice breaker at the bar, you can mention that this year App Store revenue will top global box office receipts. Apple's services unit is dominated by apps and that unit grossed $57 billion in 2017. It might be hard for analysts on Wall Street to compute what kind of value to put on the App Store when trying to figure what Apple's shares should be worth. These analysts are concerned about whether the App Store can sustain its spectacular growth rate. It would appear that this little gem of a business, which launched with 10,000 apps in 2008 alongside the Apple iPhone 3G, could be the fastest growing part of Apple. Since the middle of 2011, spending in the App Store has risen $5 billion a year. Kind of remarkable, considering that originally Steve Jobs was against the idea of 3d party apps on the IPhone. I would gladly pay then to have those ads. Ugh. Most of the time it’s not even that much. The best thing about the Play store is the money back option if you don't like the app, at least that way you don't have to waste money and it will encourage developers to create higher quality. 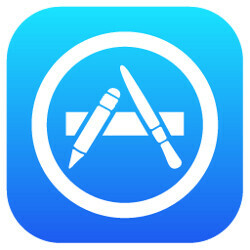 I've always maintained that the App Store should have been spun off into it's own separate buisness the moment 3rd parties were allowed in and monetized in Apple's walled-garden ecosystem. The definition of monopolizing is using one's position in one industry to influence another. Pretty much exactly what they are doing. Their position as a handset (physical hardware products) seller influences the market of apps (non-physical software. Software houses have always had to play 2nd fiddle to Apple's own offerings or they'd get pulled. .